The McClinton Market is gone. 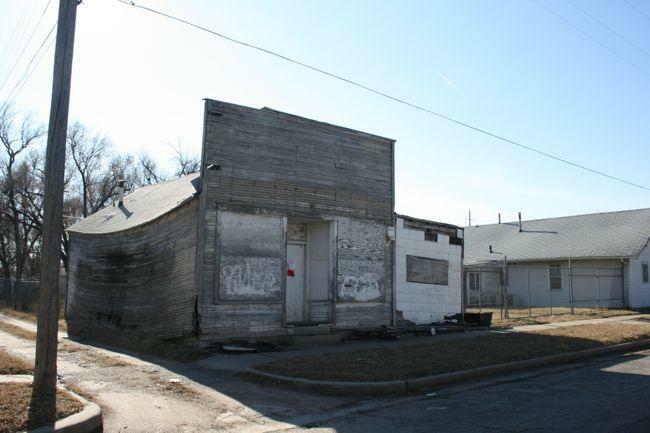 Back in 2011, things seemed more promising when the building at 1205 E 12th Street in Wichita was placed on the National Register of Historic Places. I remember that nomination; I was on the State Historic Sites Board of Review then. It was one of the few surviving early African American owned business buildings in the city. A modest frame structure, the building housed the store of Curtis McClinton. McClinton had come to Wichita in the 1940s and opened his business on 12th Street. Although a fixture in the city’s African American neighborhood around 9th and Cleveland, the store was more than just a local hangout. Soon after arriving in Wichita, Curtis McClinton became active in local civil rights efforts, including the NAACP. In 1956, he was elected to the Kansas State House of Representatives. In 1960, he was elected as Kansas’ first African American state senator. The market’s story is a good reminder that a nomination to the National Register calls attention to significant structures and does open up certain areas of support-- but it does not guarantee a building’s preservation. When a building requires extensive maintenance, as this one did, the costs may be too much for owners. The building was in poor shape when it was nominated and subsequent attempts to stabilize the building could not come together. And so, early this year, this significant symbol of Wichita’s African American past came down. As we think of the founders of the Wichita area, some names are well known: Mead, Greiffenstein and Munger among them. Others are less known but worth considering. One of them is Feldin Buckner. Buckner was the slave of a Judge Buckner in Kentucky. When Judge Buckner moved to Missouri, he freed Feldin... or "Fielding," depending on the source. Feldin Buckner married and had a large family. We know from the birthplaces of his eight children that the family moved to Iowa and Nebraska before they arrived in Kansas in the late 1850s, settling along the Whitewater. This month marks the 50th anniversary of a KC-135 crashing into a predominantly African American neighborhood in northeast Wichita. This was more than just a neighborhood with a particular racial makeup, however. 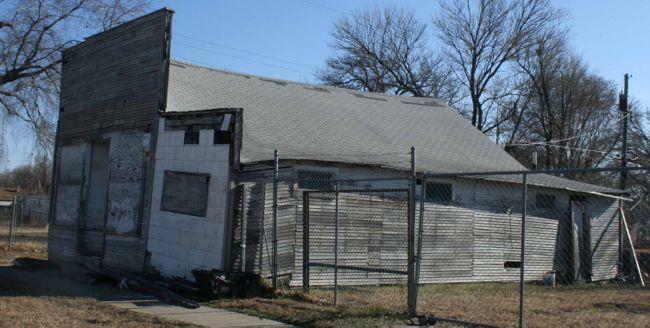 It represented the postwar suburban dream for Wichita’s African American community.